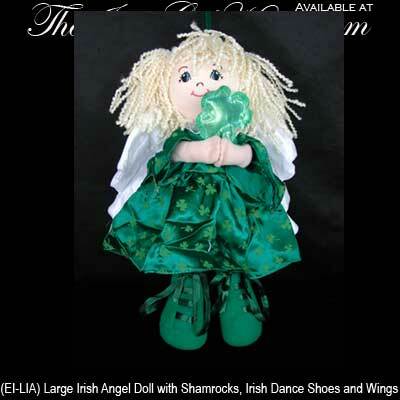 Irish Gifts Large Soft Irish Angel Doll with Shamrocks, Irish Dance Shoes and Wings. 12" Tall, Made of Cloth and Fabric, and Ribbon Laces on Her Irish Dance Shoes. Made in Ireland by J.C. Walsh and Sons.